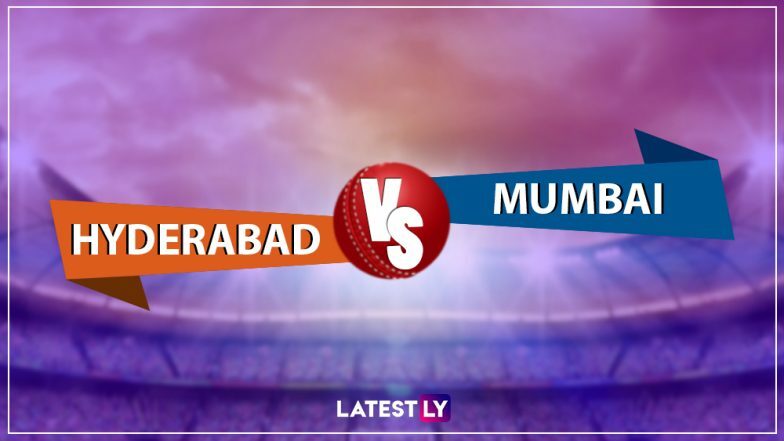 Sunrisers Hyderabad (SRH) hosts Mumbai Indians (MI) in the Indian Premier League 2019 (IPL 2019) match at the Rajiv Gandhi International Stadium in Hyderabad. Sunrisers are currently placed on top of the IPL 2019 points table and will be looking to continue their winning momentum. Meanwhile, if you are looking for live streaming online of SRH vs MI IPL 2019 match, then scroll below for all the details. Sunrisers Hyderabad vs Mumbai Indians Live Cricket Score. Sunrisers recently completed a hat-trick of wins after losing their opening match against Kolkata Knight Riders (KKR). SRH now have won three out of four matches and are looking strong once again in the tournament. The Orange Army will be in search of their fourth win of the season as they host Mumbai Indians. Mumbai Indians, on the other hand, are placed sixth on the 2019 IPL points table and team standings. The Rohit Sharma-led side have thus far won two out of four matches. In their last outing, MI defeated defending champions Chennai Super Kings (CSK) to boost their confidence. They will be looking for their second straight win in the tournament. SRH vs MI, IPL 2019, Hyderabad Weather & Pitch Report: Here's How the Weather Will Behave for Indian Premier League 12's Match Between Sunrisers Hyderabad and Mumbai Indians. The IPL broadcast rights are with Star Sports Network. So, SRH vs MI IPL 2019 match live telecast will be available on Star Sports 1/HD, Star Sports 1 Hindi/HD. Star Sports Select 1/HD will also provide the live telecast of the match. Apart from these, the RR vs RCB match live broadcast will be provided on Star Sports Bangla, Star Sports Kannada, Star Sports Tamil and Star Sports Telugu TV channels. SRH vs MI Head-to-Head Record: Ahead of IPL 2019 Clash, Here Are Match Results of Last 5 Sunrisers Hyderabad vs Mumbai Indians Encounters! With Star Sports owning the broadcast rights, the live streaming of Chennai Super Kings vs Kings XI Punjab, IPL 2019 match will be available on Hotstar mobile app and official website. For live score updates SRH vs MI match, fans can follow that here on LatestLY.